One of Detroit’s core suburbs, Sterling Heights’ quality of life is second to none with exceptional neighborhoods, a world-class library, lush parks, and low tax and crime rates. Many proclaim our city as one of the finest communities to raise a family. See for yourself by coming to one of our many special events such as the Sterlingfest Art and Jazz Fair, held the first Thursday through Saturday in August. Attracting more than 100,000 people, the fair includes national musical headliners as well as popular Michigan jazz acts, a juried art fair, a family midway, food and nonstop entertainment. Lakeside Mall is a premier shopping mall in Sterling Heights, offers shopping, dining and entertainment from top retailers. Dodge Park is a recreation & sports park for volleyball, in-line hockey & picnics, with swings & an amphitheater. 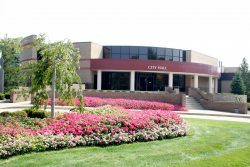 it is temporarily closed to allow for the construction of Recreating Recreation projects including a splash pad, ice rink, farmers market pavilion, new amphitheater, sand volleyball courts, turf mini soccer fields and other aesthetic improvements. Dodge Park is expected to re-open to the public June 28, 2018, and will include the first summer concert, Farmers Market, and 50th Anniversary Celebration. Howl2GO by Howl at the Moon is the premier name in Dueling Piano entertainment. Bring our incredible performance to your event in Sterling Heights at any venue. 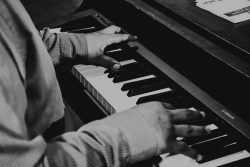 When you bring Howl2GO to Sterling Heights, you can be certain you’re getting the true Howl at the Moon experience, and with that comes the assurance you are booking only the best dueling piano performers in the country. Our fun, energetic performers are perfect for all events anywhere in the Sterling Heights area. Howl2GO Dueling Pianos by Howl at the Moon brings only the absolute best entertainers to your event. Whether you’re planning a corporate event in Sterling Heights, a wedding or private party at your home, we’ll deliver customized entertainment leaving you and your guests dancing and singing along all night. We are the first choice for all types of school, church and charity fundraisers and we ensure all our songs and material is suitable for everyone in attendance. Telling your guests in Sterling Heights that Howl at the Moon is providing the entertainment, is a sure fire way of attracting more people to your event! We are a perfect choice for your wedding – we keep numerous couples in Sterling Heights and their guests dancing all night, as well as taking care of all your ceremony, announcements and special family dance needs. Don’t risk booking a local fly-by-night company that may not even still be in business when your wedding date comes around, nor one that hires freelance players. Howl at the Moon has been rocking since 1990 and our reputation precedes us.